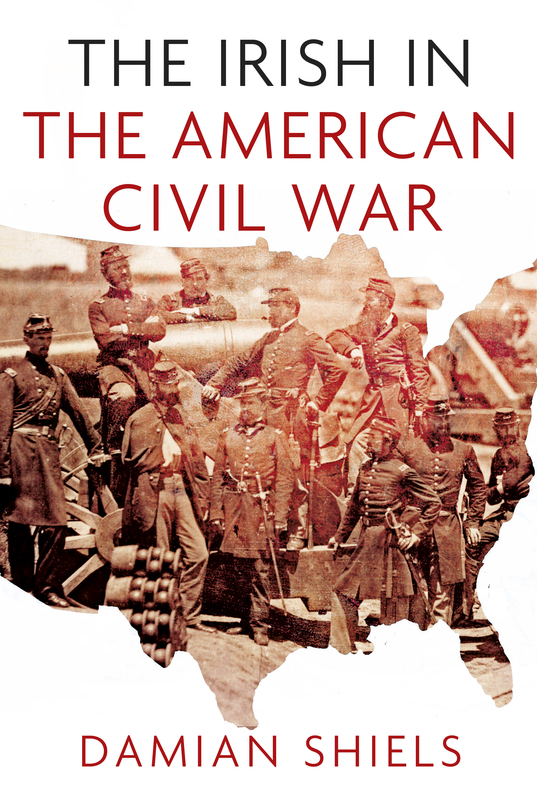 I am delighted to announce that my first book, ‘The Irish in the American Civil War’ published by The History Press Ireland, is now available. If you are interested, the best place to purchase the book is from The History Press Ireland website page, here. They will ship anywhere free of charge. In addition the book should be available in bookshops across Ireland from the middle of this month. For any readers in the United States who are interested in getting a copy, although it is not yet available through US sites, you can also purchase it direct from the History Press Ireland in dollars with free shipping. 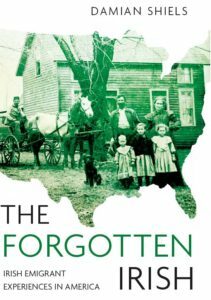 To give readers a flavour of what the book is like, first and foremost I should point out that it is not intended as an all-encompassing history of the Irish in the American Civil War. Rather it follows the style of this blog, presenting personal stories that help to cast light on some of the influences on the Irish American community before, during and after the conflict. Some of the stories are significantly expanded versions of ones that have appeared on the site, while others are completely new to the book. It is split into four sections, ‘Beginnings’, ‘Realities’, ‘The Wider War’ and ‘Aftermath’, each intended to explore a different aspect of the Irish experience. The chapter breakdown and content is outlined below; I hope that for any of you who consider buying the book that it will prove an enjoyable read! Looks at the scale of Irish participation in the American Civil War, its links to the Famine generation, and why it is not better remembered in Ireland. The story of James Shields and the duel he challenged Abraham Lincoln to in 1842. Thee story of Commander Stephen Rowan and his ship the USS Pawnee at Fort Sumter in 1861. Explores the Irish involvement in the army before the war and in events such as John Browns Raid, before looking at the Irish who were in the Sumter garrison in 1861. The story of three Irishmen and their different experiences of First Bull Run, and the subsequent effect it had on them and their families. Why would the Irish fight for the Union? Examining the motivations of Irishmen in New York through a speech given by Thomas Francis Meagher at the Academy of Music in 1861.
Who made up green-flag regiments? This chapter looks at that question, using the 23rd Illinois Infantry as a case study. Two Irishmen led their regiments towards the Cornfield at Antietam. Both Irish, one was a Yankee and one a Rebel- neither would survive the experience. The American Civil War presented an opportunity for industrial killing on a frightening scale, where large numbers of men could be wiped out in moments. This was what the Irish 9th Massachusetts experienced at Saunders’ Field, The Wilderness in May 1864. The story of Thomas Plunkett of the 21st Massachusetts, grievously wounded at Fredericksburg, but who went on to become an important symbol of the Massachusetts war effort. Patrick Cleburne remains largely unknown in Ireland. This tells the story of his final moments, when he lost his life at the Battle of Franklin, Tennessee in November 1864. No less a person than George Meade held Thomas Alfred Smyth as one of his finest Generals. This briefly tells his story, and how he became the last Union General to die in the American Civil War. The story of Michael Dougherty, later a Medal of Honor recipient, who kept a diary in Andersonville and also survived the Sultana disaster. Looks at the reasons behind the New York Draft Riots, Irish involvement, and the death of one Irishman, Colonel Henry O’Brien, in horrendous circumstances. The Confederate government sent a number of agents to operate in Ireland to prevent recruitment into the Union army. This looks at their efforts, techniques and the men involved. When the USS Kearsarge anchored in Queenstown (now Cobh), Co. Cork in 1863, she sparked a diplomatic incident through allegations of illegal recruitment. For one Irishman the visit would change the course of his life. Not all Irishmen at the front were combatants. This tells the story of photographer Timothy O’Sullivan and Special Artist Arthur Lumley who used their talents to bring the war to the Home Front. The remarkable story of Jennie Hodgers, who served as Albert Cashier in the 95th Illinois and kept up her male identity until well into the twentieth century. Looks at some of the Irish laywomen who went to the front to help with the war effort, such as Bridget Diver of Custer’s Wolverines, and Mary Sophia Hill of the Louisiana brigade. The cost of the war for many families at home was huge. This looks at how a number of families sought to cope with the loss of their loved ones at the front and the effect it had on their lives. The consequences of the war could last for decades. This looks at wounded veterans, both physically and mentally, and the pain that the war could still cause long after the guns fell silent. Roscommon man Jame Rowan O’Beirne was in the room when Lincoln died, and was charged with hunting down John Wilkes Booth, a job he carried out diligently. This is his story. How did old veterans remember the war as the years passed? How did the Irish community seek to remember these honoured veterans? This looks at these efforts as the numbers of veterans dwindled into the twentieth century. 24 years after their heroic defence of the stone wall at Gettysburg, the 69th Pennsylvania returned to erect a memorial to their fallen comrades, and to meet some of their former foes. This is the story of that occasion. Looks at JFK’s presentation of an Irish Brigade flag in 1963, and the future of remembrance of the American Civil War in Ireland. Congratulations, Damian – very exciting! Just purchased your book!!! Looking forward to reading it!! Thanks Mike! Let me know what you think of it, I hope you enjoy it! Congratulations! I will certainly be ordering a copy. Many thanks that means a lot, really glad you are enjoying it! Also great to get positive feedback! Your work was very much enjoyed and left me wanting even more. You gave such great bits of information & insight that then raised questions in my mind for further research projects. Thank you so very much for this book. Thanks a million for this, and for your very kind review! I am delighted that you enjoyed the book, it really means a lot. I am hoping it might spark a few more people in Ireland to join the ranks of those of us who love exploring these stories!